Rokshaw Laboratories can announce the following changes and provide an analysis for the Part VIIIB Specials Drug Tariff, with effect of February 1st 2019. In summary, the February 2019 Specials Drug Tariff has once again shown a considerable decrease in the overall average sales price (now at £84.45) with the popular product decreases being Diltiazem Cream, Clopidogrel Suspension and Ketamine Solution. These significant decreases will prove to provide excellent value for the NHS moving into the new quarter and the foreseeable future. We predict that the trend will continue with prices getting even lower in the upcoming updates. Rokshaw Laboratories also predicts that despite only 1 product has been added in the February update, the upcoming May 2019 and August 2019 updates will see the addition of a lot more lines to ensure that more prices are appropriately moderated across the Specials industry. What can Rokshaw Laboratories Do? 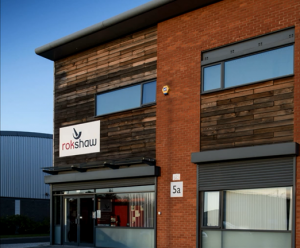 Despite these changes, Rokshaw Laboratories will always be able to provide your pharmacy with a competitive price on Drug Tariff that allows for an ethical earning opportunity for community pharmacy and value for the NHS. If you wish to speak with us to see what we can do you on Drug Tariff lines going forward, then please find our contact details here or fill out our Online Enquiry Form. We also provide a wide variety of Non Tariff Specials and Special Obtains that you can ask us about at any time as part of our overall Specials Service. If you wish to work out your exact reimbursements on Drug Tariff lines, you can use our Drug Tariff Calculator, which has been updated from the 1st February 2019. For more information on the entire February 2019 Specials Drug Tariff, please access the following link for the full Drug Tariff. This entry was posted	on Wednesday, April 10th, 2019 at 1:45 pm	and is filed under . You can follow any responses to this entry through the RSS 2.0 feed. Both comments and pings are currently closed.